Time to stop making eight-sided snowflakes! Real snowflakes have six sides, never eight. Click on the image for detailed instructions on how to make a proper six-sided flake. 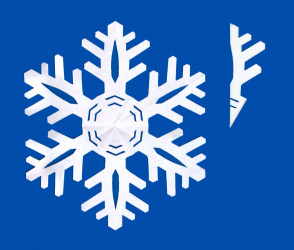 And for you advanced snowflake cutters, try making one that actually looks like a real snowflake might. I warn you, it's not as easy as it sounds! 1) A small magnifier, about 5X. 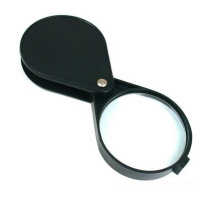 An inexpensive fold-up magnifier works well, such as this one available at Amazon . 2) A dark surface to catch snowflakes. Any dark fabric or dark cardboard will work fine. You have to catch the flakes as they fall; the ones already on the ground are usually a jumbled mess. 3) A cold day. Not every snowflake brings beautiful snowflakes. Some days, especially warm days, you may not see much of anything interesting. Keep trying, though. Nice crystals are out there if you have some patience. You never know what you might find! 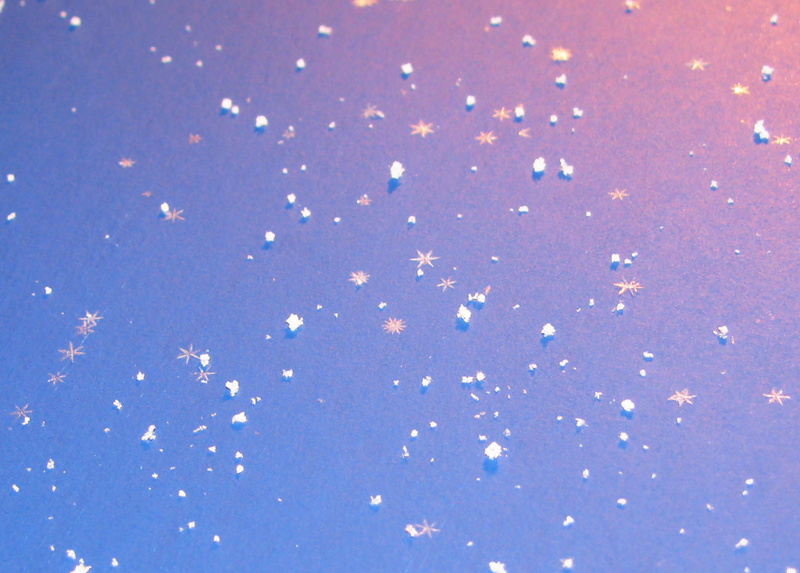 When you find some nice-looking snowflakes, you can preserve them in superglue, like this example. Then you will have your very own fossil snowflakes, trapped like insects in amber. 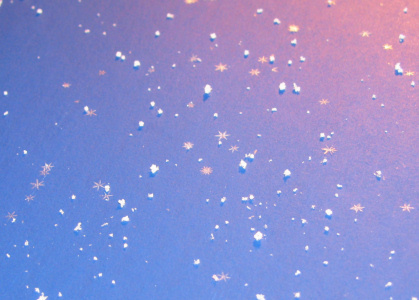 After the glue hardens, you can take your snowflake indoors and keep it forever. Click on the image for detailed instructions. 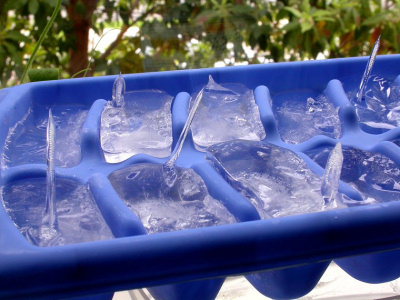 Here's something different -- make some ice spikes in your freezer. All you have to do is use a plastic ice cube tray filled with distilled water (available at most grocery stores). What is happening here? Click on the image for a detailed explanation and more pictures. You might also find large ice spikes outside. People sometimes find them in bird baths, pet dishes, or really any container of water sitting outside. But, these outdoor ice spikes happen only rarely. Really great snowflake photographs require some expensive macro photography gear, but you can do okay with even inexpensive cameras. 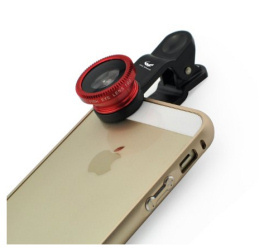 To start out, try a cell phone camera using a macro lens attachment like this one, available at Amazon . They are really cheap and work surprisingly well. But before you try any photography, first just go outside with a magnifier (see above) to see what kinds of snowflakes you can find. 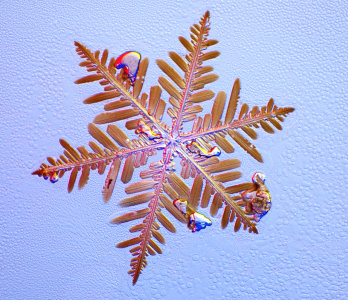 If the snowflake photography bug bites you, you might even want to step up to a SLR camera using a macro lens, and, if you are really serious (like me), maybe even a full-on microscope.